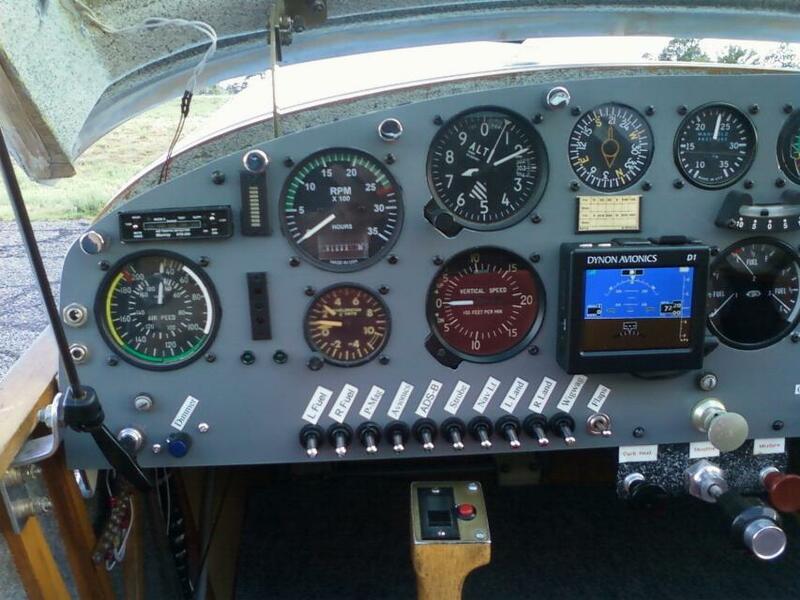 SkyGuard Vision-Pro - UAT out, FIS-B in, TIS-B in, UAT in, and 1090ES in. glass aircraft, all the antennas could be mounted under the turtle deck and it talks to my iFly 720 GPS via WiFi. Installation was pretty straight forward. Just supply power and ground. Plug the WAAS GPS puck into the unit. Plug in the 978 MHZ and 1090 MHZ antennas. 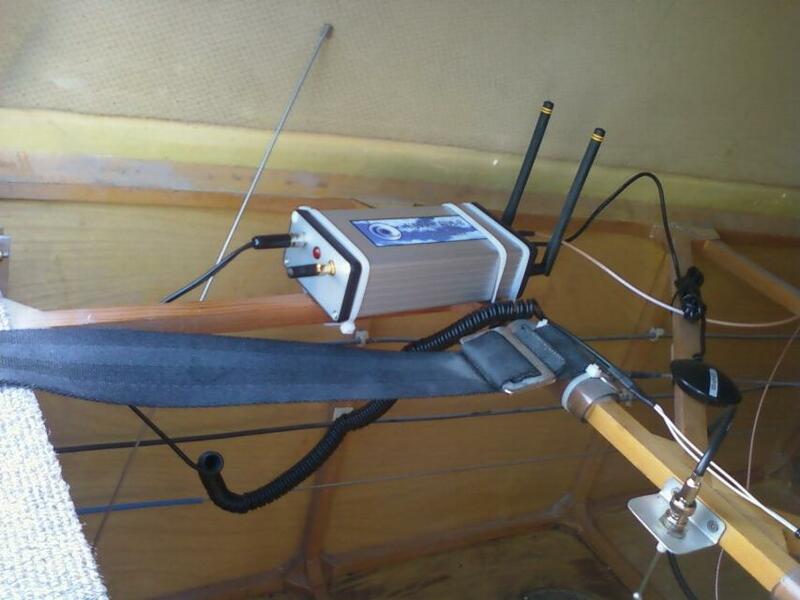 out antenna is mounted along the near side of the wooden airframe, so does not appear in the photo. July 20, 2014 - Took the iFly and SkyGuard Vision Pro for another flight today. Nice Sunday mid morning with lots of traffic out and about. At first, I saw nothing. a potential conflict, know the altitude and direction of the other aircraft made spotting it a cinch. July 26, 2014 - I went for another flight this morning for the express purpose of capturing some screen shots of the ADS-B traffic. I've just launched from LAM and am over the Rio Grande half way between LAM and SAF. The ring around SAF is the 5 mile ring of controlled airspace around SAF. Note there are a number of targets in the pattern around Santa Fe. The ones off to the south are likely doing instrument work. that was previously on right downwind for runway 20 is gone as it is likely just below ABQ Center's radar. after I got home and found it to be a Care Flight helicopter headed for Albuquerque. This screen shot captures the traffic around Albuquerque at that moment this morning. It looks pretty busy over at AEG (Double Eagle) on the west side this morning. here to use as a reference for the next photo. with each other at this time as well. My KR is significantly faster than a Skylane, so I pressed on and turned in towards the runway just a bit while he looped his turn out just a bit. enough I can eaqsily acquire with the Mk 1 eyeballs once I'm close enough to see them. We have some weather moving in tomorrow, so if I get a chance, I'll put up some screen shots including some weather as well.